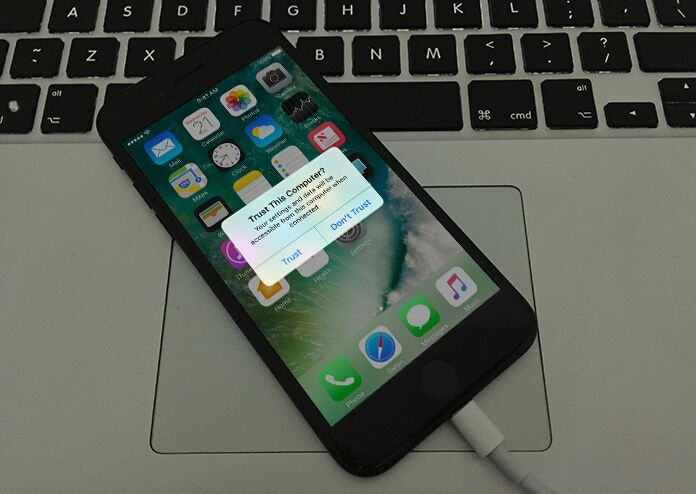 The invalid response from iPhone error that many encounters is quite a common problem and any user of the iPhone will be sure to see it at least once during their time spent on the device. It rears its ugly head right when trying to connect the iPhone with iTunes. Many users become confused and are unsure about what to do or try to get the problem resolved so what we will look at here today are potential solutions to this issue. Before getting into these details it is necessary to understand what exactly are the reasons that cause this problem. Normally, it is known that iTunes is the official store for the iPhone where it is possible to download apps, games, themes, listen to music and do other fun stuff. It is one of those central, irreplaceable apps that are a core part of the iPhone. However, there may come a time when the iPhone stops responding when trying to connect to iTunes. This invalid response from iPhone usually happens when trying to connect the two or transferring data or when downloading an app. However, this is nothing that is long lasting and can be fixed using simple means. This error mostly occurs when there is an issue with the USB cable. Connecting the iPhone to PC via USB and then using iTunes to back up data is quite common. 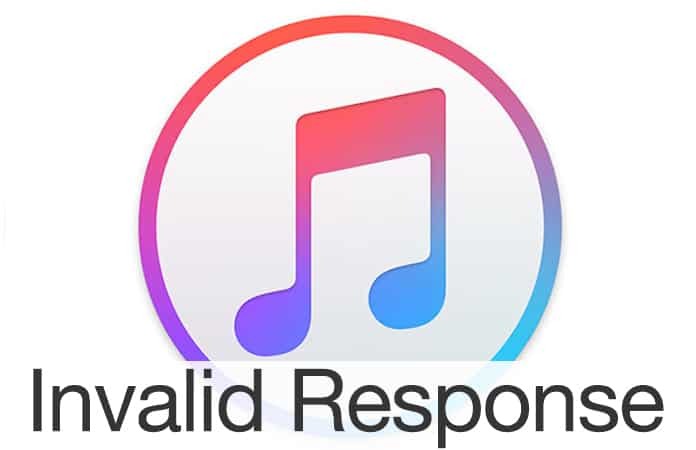 However, it is possible for iTunes to freeze or cause the system to hang and show an error message. Ignoring it and just shutting down the PC can, of course, lead to valuable data lost, so we need to explore alternative options. Options that will not cause harm or damage to either the system or the data. So, without any further ado, just try one of these solutions; one of them should work. The first thing to try is to troubleshoot the USB by either changing ports, or the cables. The issue is often resolved simply by this method of changing hardware. In other cases, it is possible that downloading a certain third party software from the app store could be what is preventing iTunes from connecting to the Apple server. So, it is better to just avoid such apps and go for authentic apps. If you happen to have such an app, uninstall it as soon as possible and then try to reconnect your iPhone to iTunes. 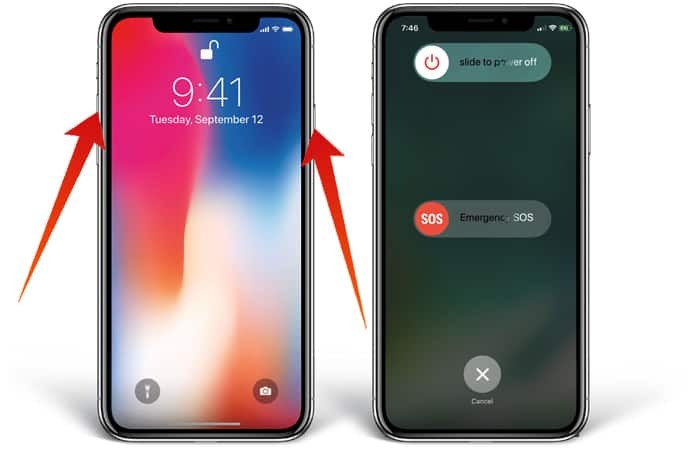 If the invalid response from iPhone issue still isn’t resolved you may want to try on another computer and repeat one of the above techniques with them too in case the problem doesn’t end. If even these do not work as you want, there are still other ways to fix the issue and numerous people have found different ways to fix them. Here, there are two paths that can be taken to get rid of this problem. In case iTunes is not up to date, then upgrade it to the latest available version. Oftentimes issues can be caused by having an old version installed. If that doesn’t work, try uninstalling the current iTunes and reinstall it. Reinstalling the software could get rid of unwanted bugs and issues and should work. If there are still problems with the invalid response from iPhone continue on this troubleshooting checklist. Try out a different USB port. Restart both the iPhone as well as the PC and try reconnecting again. Ensure that the iPhone is unlocked. This is because sometimes the locked device will not allow the iPhone to connect to iTunes. After all this, try resetting Network Settings. Just go to Settings -> General -> Reset -> Reset Network Settings. It is also possible to reset the iPhone by holding down the home and sleep buttons simultaneously till the Apple logo is displayed. 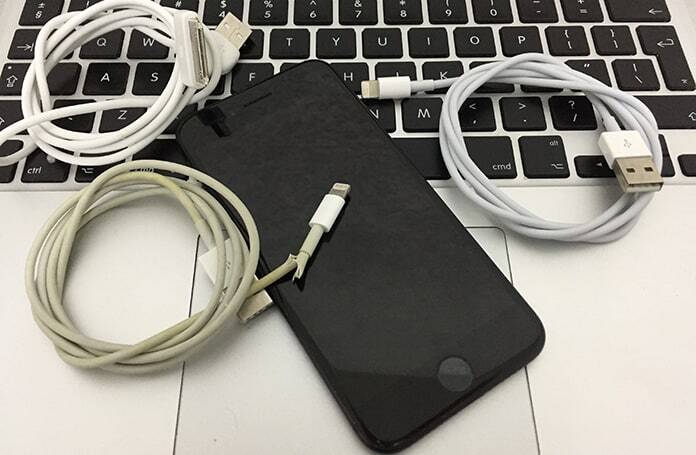 This problem can have its roots in the fact that the USB cable is either damaged, broken or fraying and isn’t able to establish a secure enough connection. One can find another cable and if even that works it may be possible that the hardware issue is related to the USB port. If you want to make a successful connection between your iDevice and your Computer, you need to trust this Computer. If the Computer is not trusted then you can’t make any transfers or synchronisations. To trust the computer simply connect your device, unlock it and after you see the message “Trust this Computer” tap Trust. Now you can open iTunes and manage your device. If you have accidentally tapped Don’t Trust then you need to reset the trusted devices by going to Settings -> General -> Reset -> Reset Location & Privacy. After that, connect to the device to the computer and the Trust alert will ask you again to trust the computer. Download the AnyTrans app and install it on your PC or Mac. Next, connect the iPhone with the PC and use a USB cable to do this. After doing this, just open the removable disk on the PC and open the app by clicking on the Import option. Once this is done, select the files that you would like to import, even if you want to select all of them. Then just click on Import to move on. All files should get transferred successfully. Now your data is safe and transferred to your computer. All there is to this is a simple straightforward restart and it should fix the software without any problems. In case any issue is faced just attempt to reboot the iPhone and the system both. After the restart has been performed connect iTunes to the iPhone again and it should work okay. 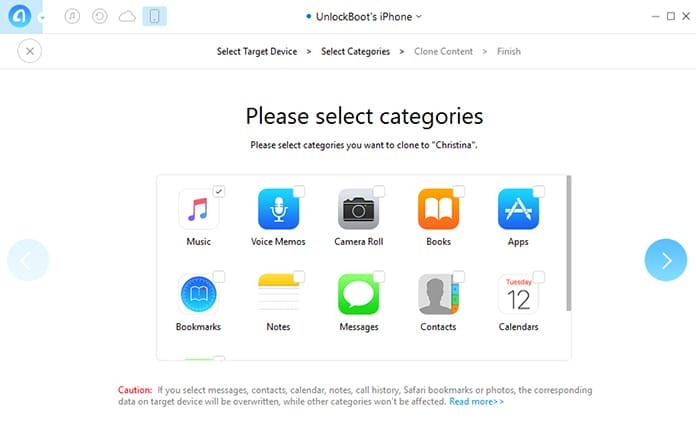 It is also possible that the iPhone gets locked while being connected to iTunes which would also cause the invalid response from iPhone issue. So, just make sure to keep the iPhone unlocked with Touch ID or some other means and if it does get locked, unlock it as soon as possible. With all these methods and such a comprehensive guide on how to fix this issue between establishing a connection between the iPhone and iTunes there shouldn’t be any more worries. Please remember to share any opinions or suggestions you may have in the comments below!